essy Mendiola reveals the story behind her shorter blonde hairstyle. During the red carpet premiere of her new Regal Films movie Stranded last April 8, Jessy Mendiola shared why she and leading man Arjo Atayde were both excited to see the final cut of their first project together. “First time namin gumawa pareho ng romantic kaya na-e-excite kami,” she said. The Stranded star also surprised everyone at the premiere with a shorter blonde look which she says was not done for a specific reason. “Hindi ko din alam (laughs) pero ginawa ko lang siya. Wala lang. Na-realize ko na hindi ko na ito magagawa pag trenta na ako so gagawin ko na. Alangan naman gawin ko ito pag mommy na ako kaya ginawa ko na,” she explained. 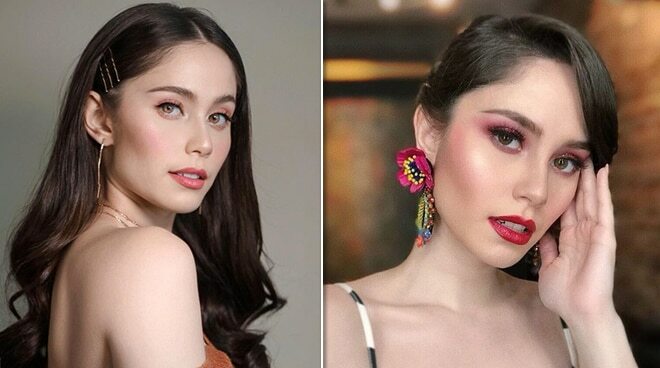 As one of the most popular names being mentioned by netizens as a frontrunner for the role of Darna after Liza Soberano pulled out of the project last week, Jessy said her look has nothing to do with the superhero project. “Hindi ah. May Darna bang blonde? Hindi,” she said. When asked what she thinks her chances are of being cast in the iconic Pinay superhero role, Jessy gave a candid reply. “Zero (laughs). Hindi ko alam. But personally I think na dapat morena kasi nakakalimutan na siya ng generation Z. Yung iba pag tinatanong yung mga bata, Kilala mo ba si Darna?’ Tapos sasabihin nila, ‘Sino si Darna?’ Parang feeling ko kung Pinay superhero dapat talagang morena this time,” she shared.